There are lots of holiday-themed events coming up! 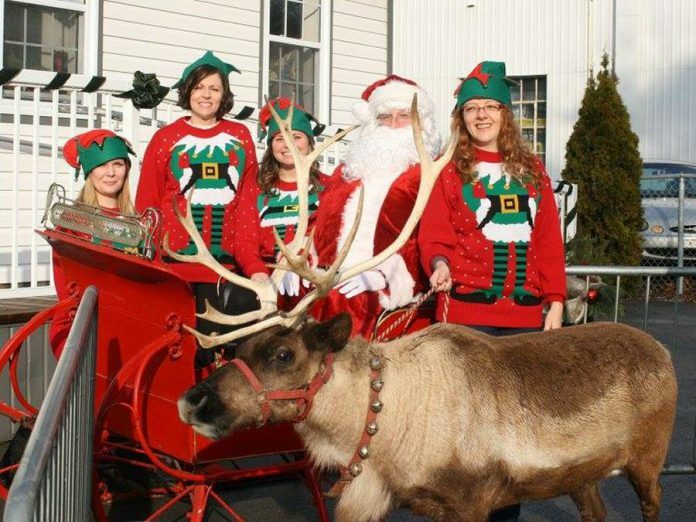 Stop by Village Dental Centre in Lakefield on Friday, November 23rd to see Santa Claus and his live reindeer Comet from 11 a.m. to 2 p.m. The Chamber’s Business After Hours: Holiday Social is taking place on Wednesday, December 12th at Kawartha Lakes Construction (3359 Lakefield Rd.) from 5 to 7 p.m.
Kawartha Lakes Construction (KLC) will be running their employee DIY Christmas tree contest, where they challenge their team to come up with creative Christmas trees and have guests vote on their favourite. KLC will also be collecting toys for the Lakefield Lioness Lions Club Toy Drive, as well as non-perishable food items for the Lakefield Food Bank this evening. Join the event for good food, great company, and a festive atmosphere! CIBC is a leading Canadian-based global financial institution with 11 million personal banking, business, public sector and institutional clients. 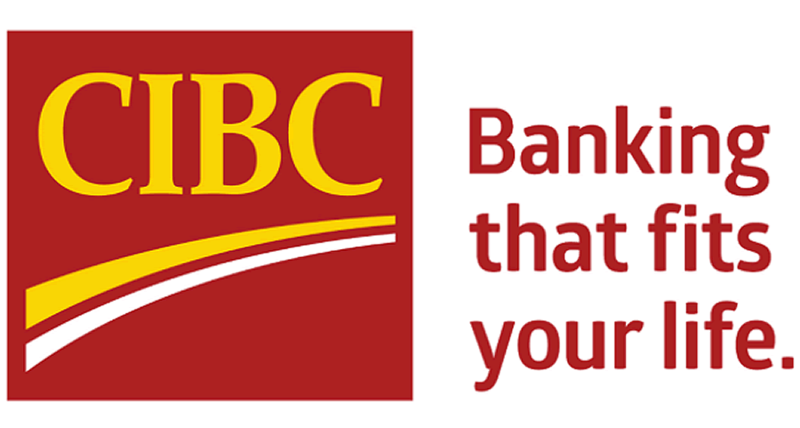 Across Personal and Small Business Banking, Commercial Banking and Wealth Management, and Capital Markets businesses, CIBC offers a full range of advice, solutions and services through its leading digital banking network, and locations across Canada, in the United States and around the world. Deer Bay Electric (DBE) was started in 2008 by Gerry Forestell. He holds a Master Electrician Licence and has been active in the electrical industry for over 20 years. DBE has friendly and knowledgeable staff and offer a variety of services. Residential include: new construction wiring, panel upgrades, landscape lighting, indoor/outdoor lighting and more. Commercially, DBE has completed several projects such as Domino’s Pizza, Primal Cuts, Swiss Chalet, Fresh, Moksha Yoga and many more. They offer expert electrical design, generator installations for home and businesses, as well as fire alarm installation. DBE is excited to be celebrating 10 years of business in the Peterborough area. Call them today for a free quote for your next project. Stop by Village Dental Centre in Lakefield this Friday, November 23rd to see Santa Claus and his live reindeer Comet from 11 a.m. to 2 p.m. There will be free photos with Santa and Comet, cookies, hot chocolate and live music. Village Dental Centre elves will also be raffling off prizes and giving out goody bags. Get into the Christmas spirit with the chance to win a $1,000 shopping spree. The contest is hosted by the Lakefield Herald and runs from November 17th to December 8th. The draw will be taking place December 8th at 5:30 p.m. at the Lakefield Legion. The winner will receive $50 gift certificates to be redeemed at participating merchants. Check out the Herald for a list of participating merchants. The Warsaw Santa Claus Parade is taking place this weekend on Saturday, November 24th at 5 p.m. in Warsaw. The theme for this year is “A Pioneer Christmas.” The parade will begin at the Warsaw Public Works garage and will continue through the village. A tree lighting ceremony will take place after the parade at 6 p.m. on the lawn next to the town hall/municipal building. If you stay after the tree lighting, you can visit with Santa, drop off letters, enjoy hot chocolate and other treats, and sing carols. Join Apsley & District Lions Club for their Apsley Santa Claus Parade and Celebrations this Saturday, November 24th at 6 p.m. along Burleigh Street in Apsley. Festivities will continue at the North Kawartha Community Centre after the parade. The Festival of Trees opens this Sunday, November 25th and runs until Thursday, December 6th at the Buckhorn Community Centre. Attend the opening on Sunday, November 25th from 11 a.m. to 5 p.m. to view and purchase tickets on a number of sponsored decorated trees. There will be also be 10 to 12 vendors selling items to help you fill your Christmas list. Admission is free. The trees will be set up until December 6th so you can drop by anytime during the week to purchase tickets for the trees or to get into the Christmas spirit. The Lakefield Lioness Lions Club are hosting their Christmas in the Village Initiative. It’s a storefront decorating contest for all businesses in Lakefield. 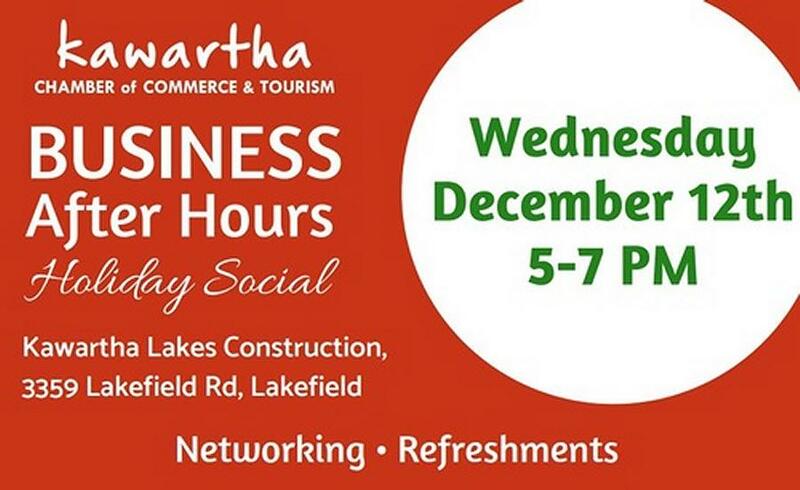 Eligible businesses are in Lakefield and 8th Line – Buckhorn Road corner. Judging day is December 7th and there are three cash prizes up for grabs. They hope that the magic of Christmas atmosphere will be a drawing card for people to come shop in the Village, and will be putting up Christmas lanterns on the lamp posts in Lakefield to heighten the Christmas atmosphere. They are currently compiling a list of participants for judging. 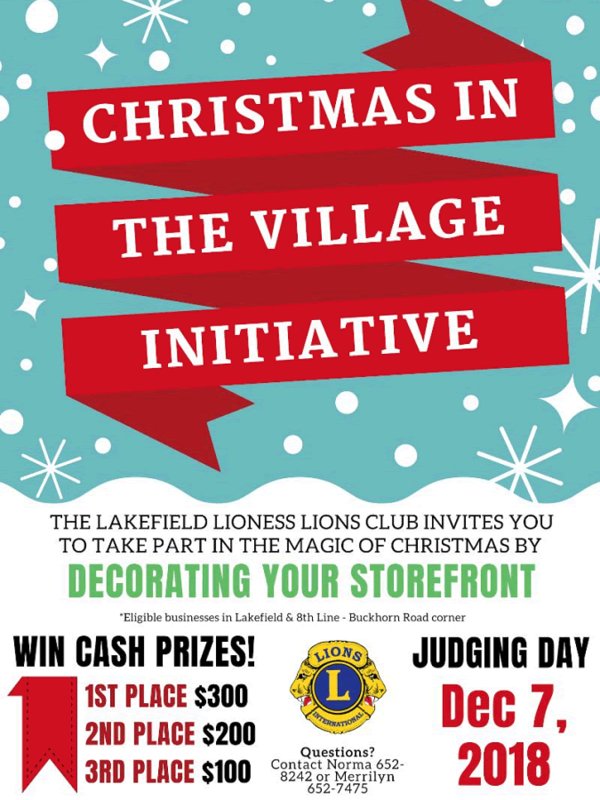 Please reach out to the Lakefield Lioness Lions if you are interested in participating. Contact Norma at 706-652-8242 or Merrilyn at 705-652-7475. 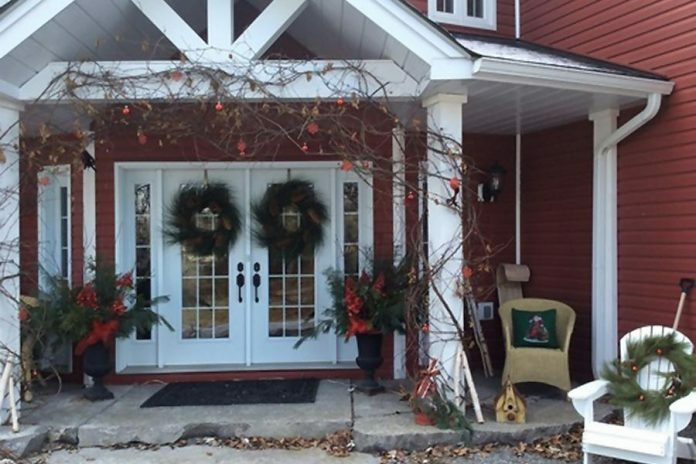 The Buckhorn Community Centre (BCC) is hosting their 8th Annual Buckhorn Holiday Home Tour on Sunday, November 25th from 11 a.m. to 4 p.m.
Tour five homes in the area that are all dressed up inside for the Christmas season. There will also be a complimentary tea room at the BCC. Tickets are $20. Limited tickets are available. Purchase your tickets at the tea room for a chance to win one of the trees at the Festival of Trees. 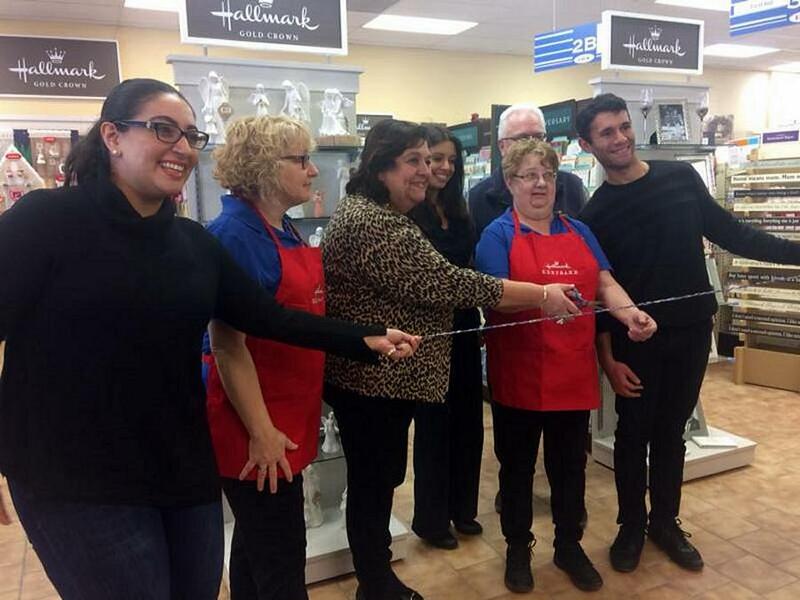 Lakefield IDA Pharmacy celebrated the opening of their Hallmark Gold Crown Store last week with ribbon cutting and cake. The store is one of the first three businesses in Ontario to become a Hallmark Gold Crown Store. They now offer Hallmark Gold Crown Keepsake Ornaments and the Hallmark Keepsake Dream Book for 2018. Stop by and pick up a copy and check out the selection for Hallmark gift ideas. Tim Hortons in Lakefield is looking to hire a full-time assistant manager. They are looking for someone with customer service skills, office experience, experience managing guests and staff, and someone with a focus on speed of service and guest satisfaction. 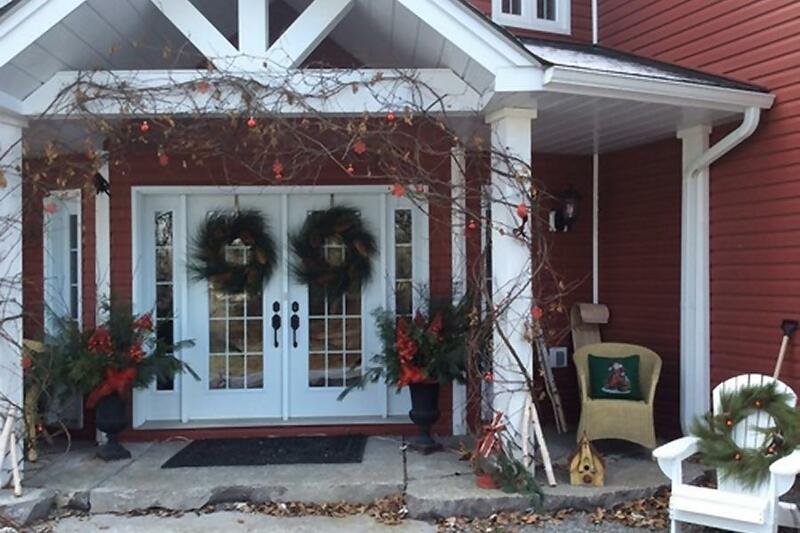 Make sure to get your tickets for the Christmas in the Village Holiday Home Tour. 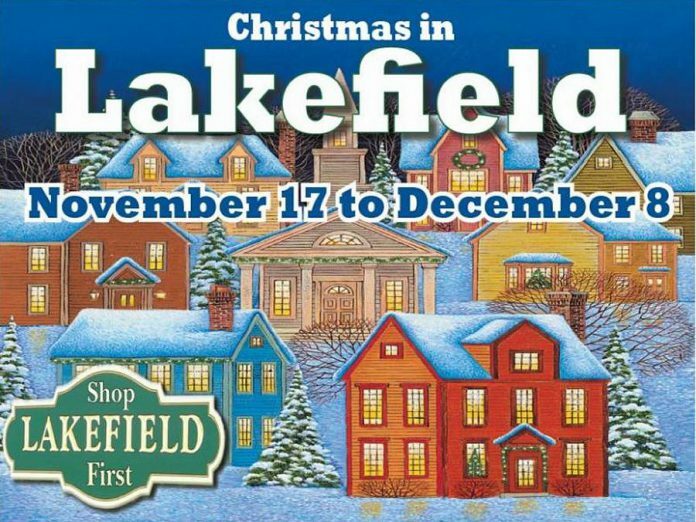 It’s taking place next Friday, November 30th at 5 p.m. as well as Saturday and Sunday, December 1st and 2nd, at 11 a.m.
Not only do you get to tour six homes in the Lakefield area all dressed up for the season, but all ticket holders receive special offers and discounts at participating stores in Lakefield. You will also be supporting three charities. This year’s recipients are Lakefield Youth Unlimited, Community Care Lakefield, and Canadian Mental Health Association Haliburton, Kawartha, Pine Ridge. Last week, Otonabee Region Conservation Authority announced that the Level 1 low water condition notice was lifted. With frequent and above normal precipitation receipts over the past several weeks, water levels and flows in local rivers, streams and creeks started to rebound, leading the Otonabee Region Water Response Team to lift the Level 1 low water condition, which was first declared on August 2, 2018. Stop by Selwyn Outreach Centre this Friday, November 23rd at 7 p.m. for their Ladies Night, “Let’s Talk: What the Gluten”. Previous articleHave you seen a coywolf in Peterborough?